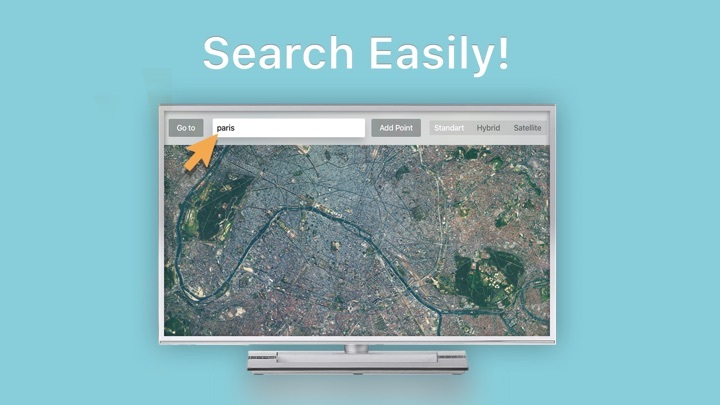 Explore maps on the Apple TV the easy way with TV Maps +. 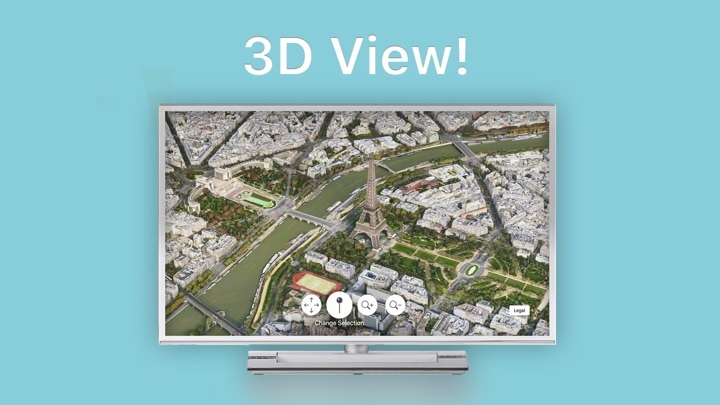 Easily find places, directions or just discover beautiful 3D maps on the big screen with this full featured map client. Wandering the maps alone or planning a trip with friends and family, both is fun thanks to the big screen. Family and friends can participate when you are planning the next trip since they can see what is happening on the big screen. Planning trips and routes becomes an event you can enjoy together with your loved and is no longer a lonely job. TV Maps + includes everything you expect from a map client, navigation is simple and straight forward thanks to the Siri Remote.